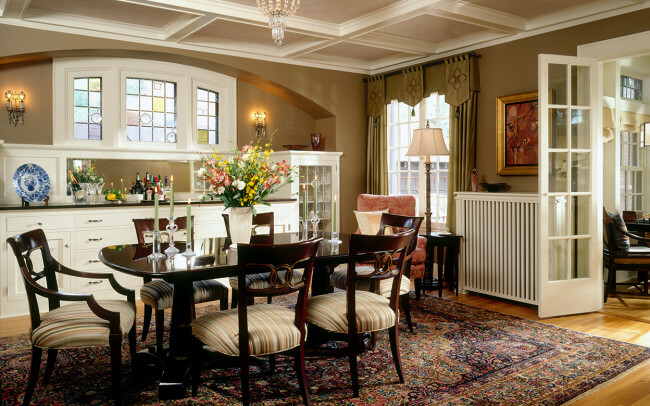 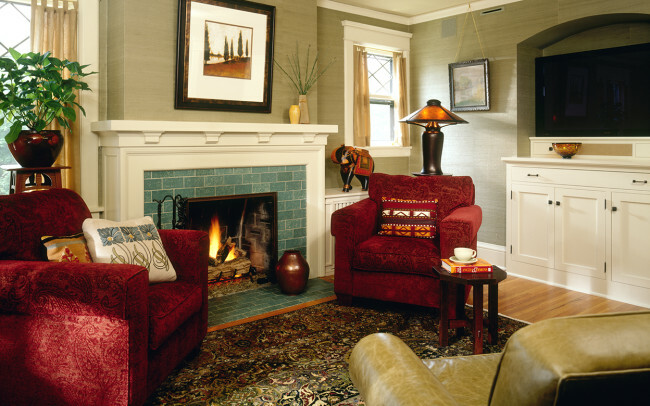 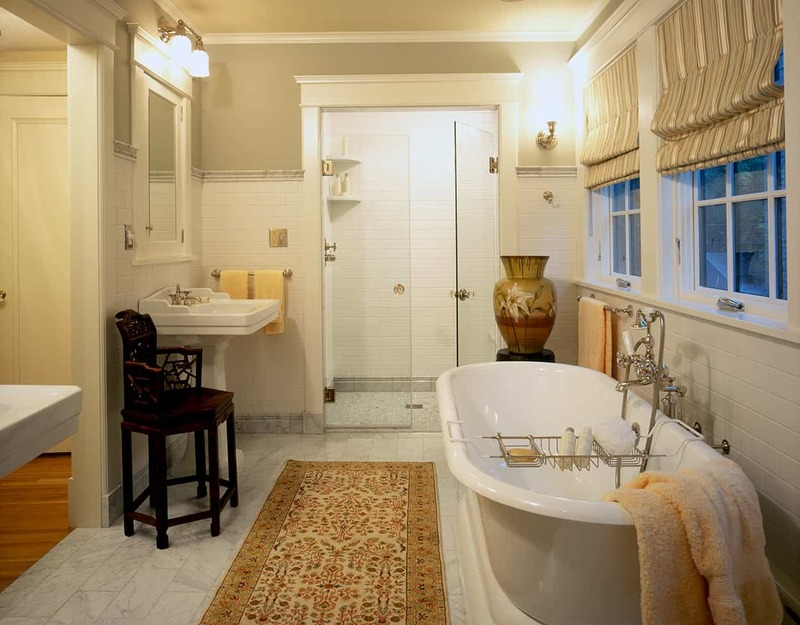 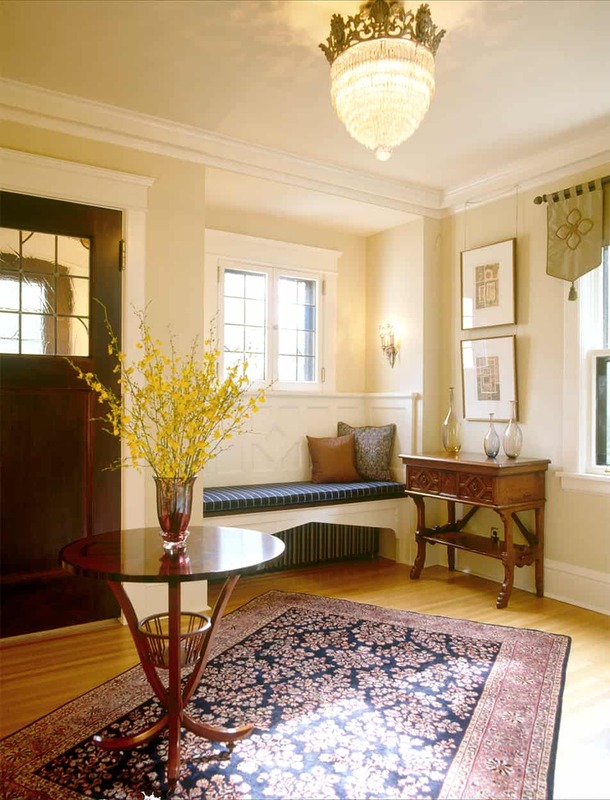 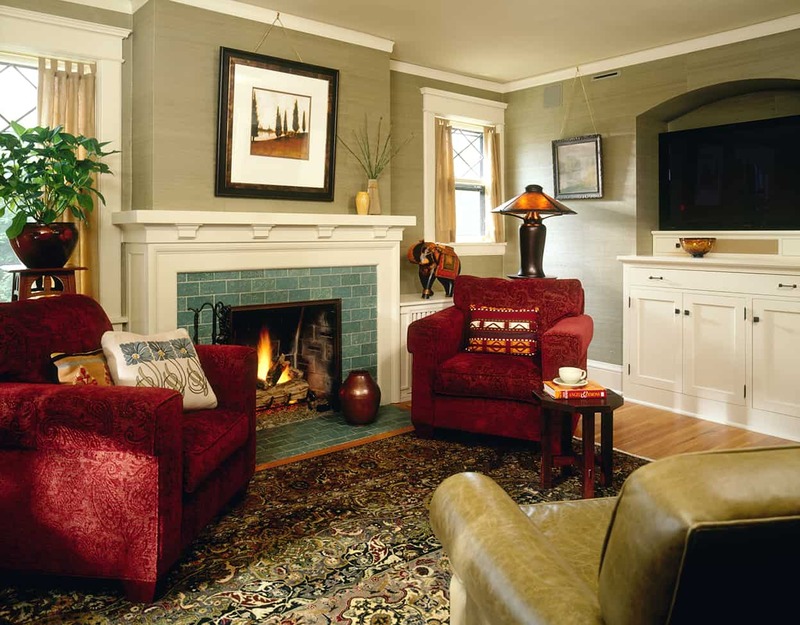 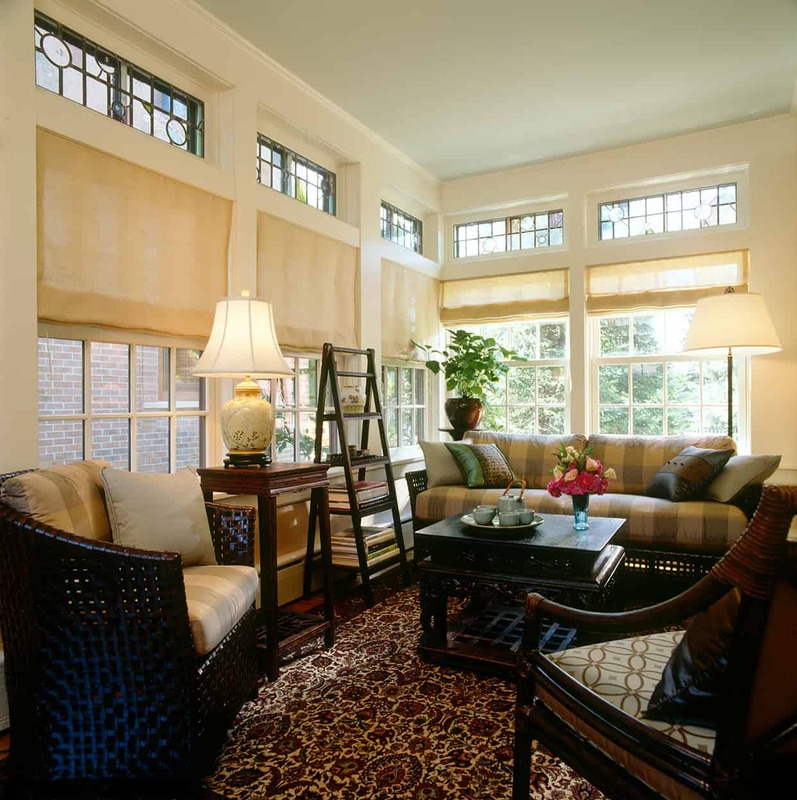 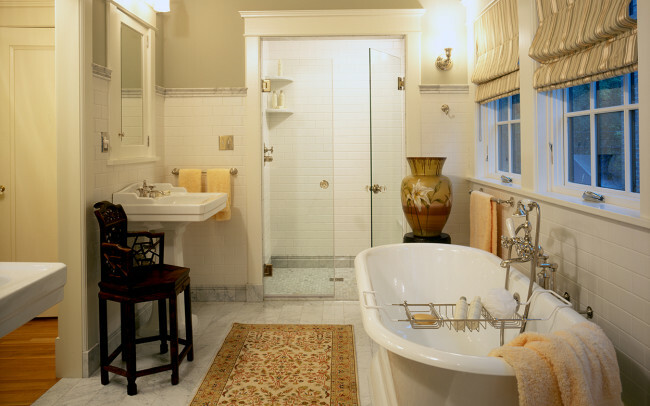 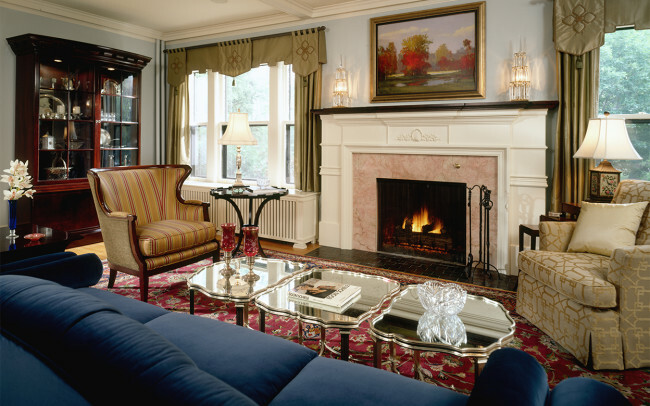 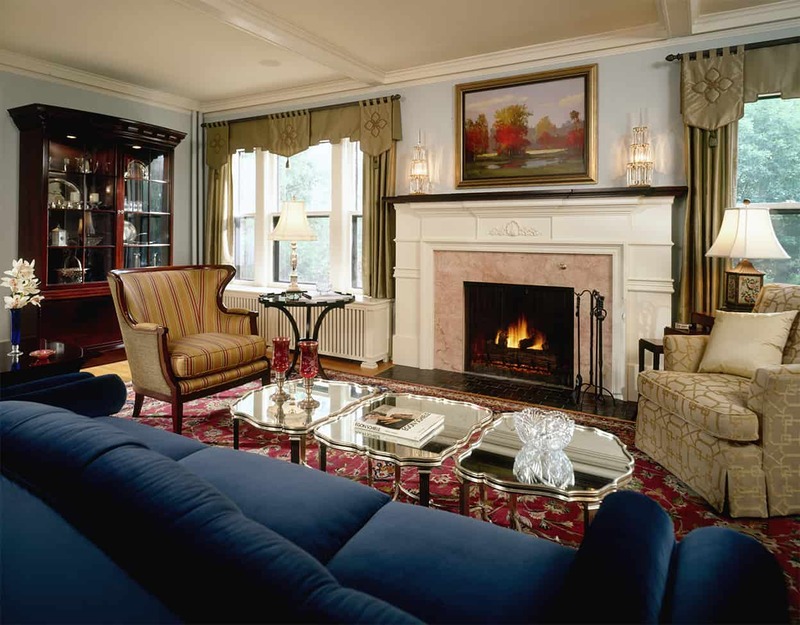 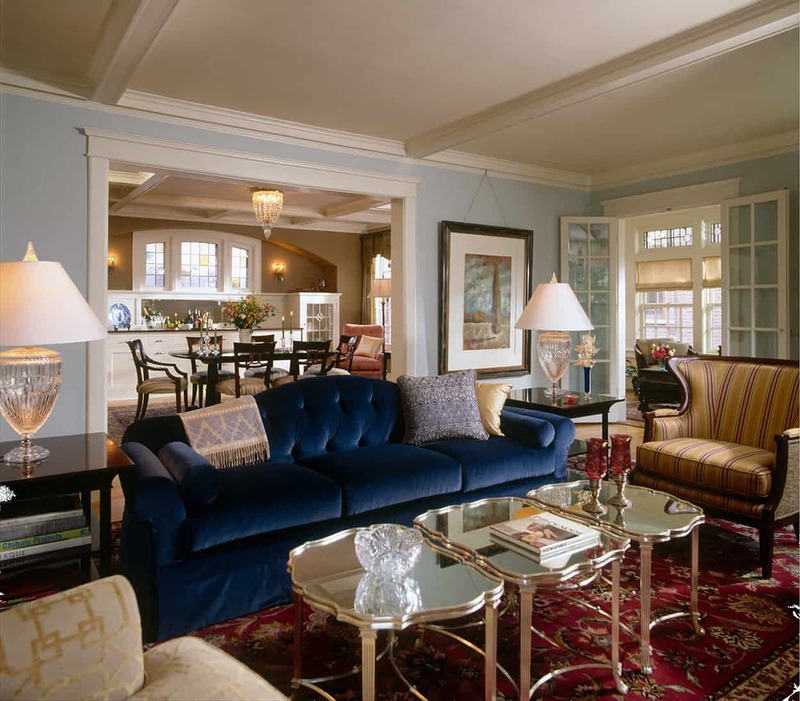 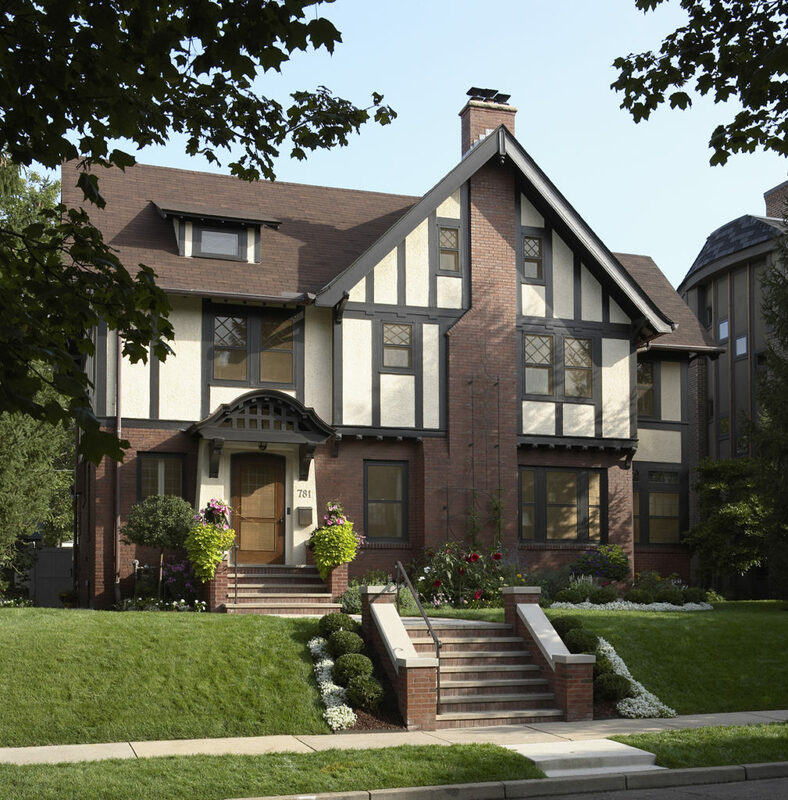 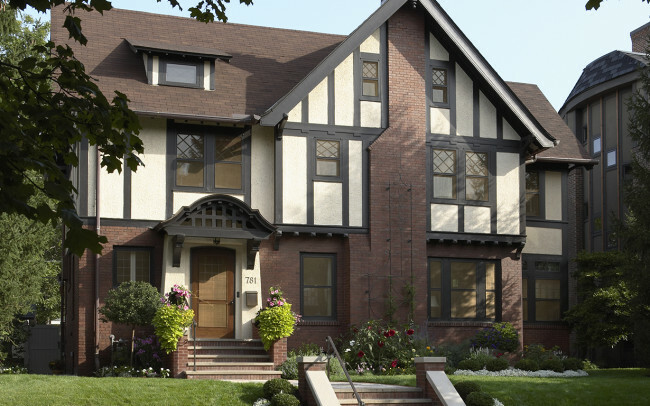 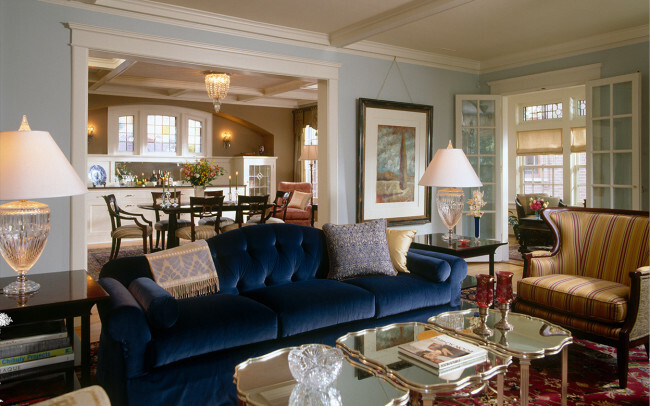 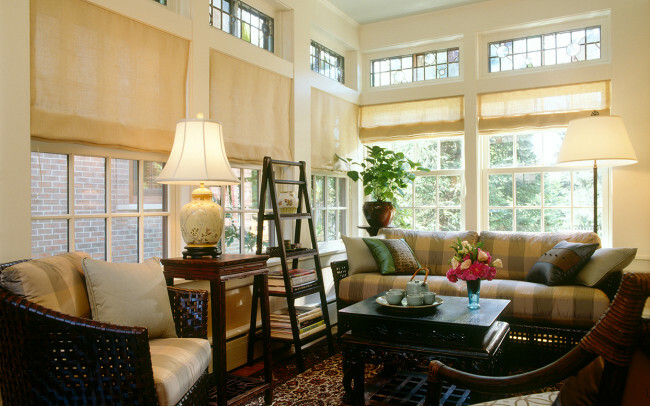 Working within the original footprint, we remodeled the entire house and provided full interior design services to reawaken the home’s historic charm. 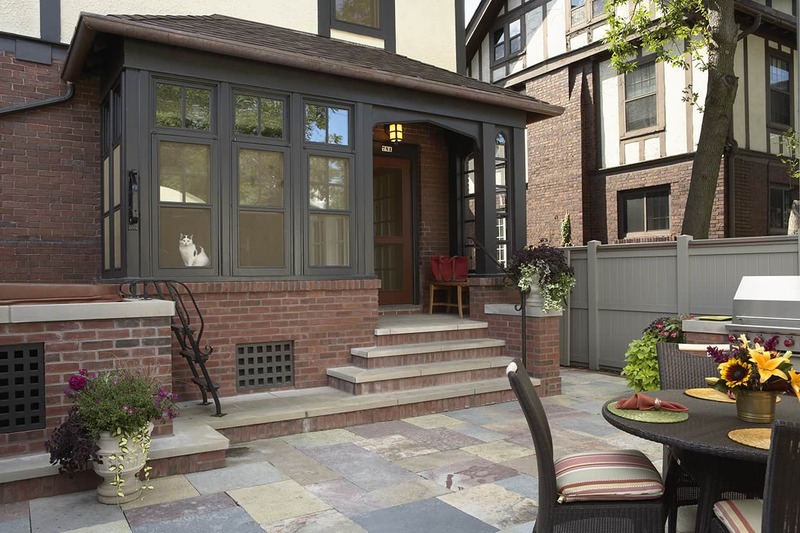 New details include art glass windows, custom-designed cabinetry and five new bathrooms, including one in what was once a sleeping porch. 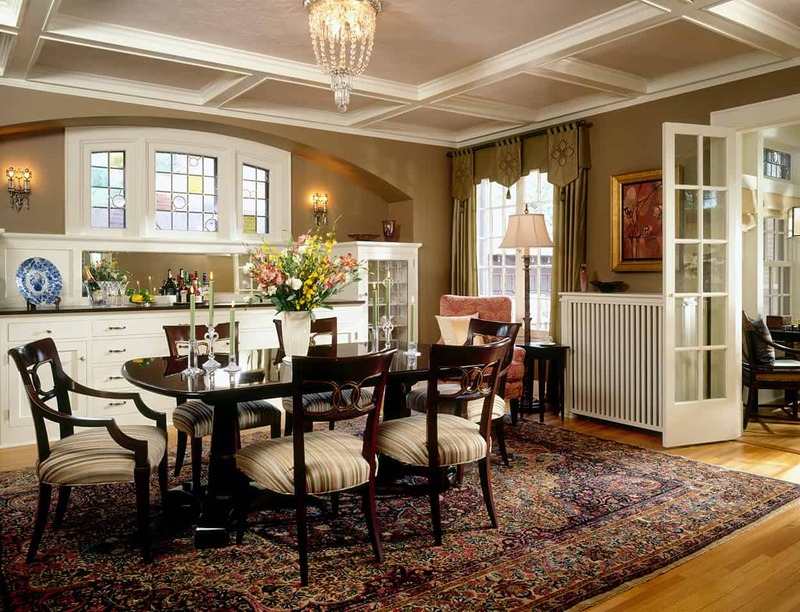 Furnishings and finishes in the formal areas fit the Tudor aesthetic, while in the bedrooms and other more private spaces, a more casual, modern design prevails. For the outdoor living space, privacy was a primary concern. 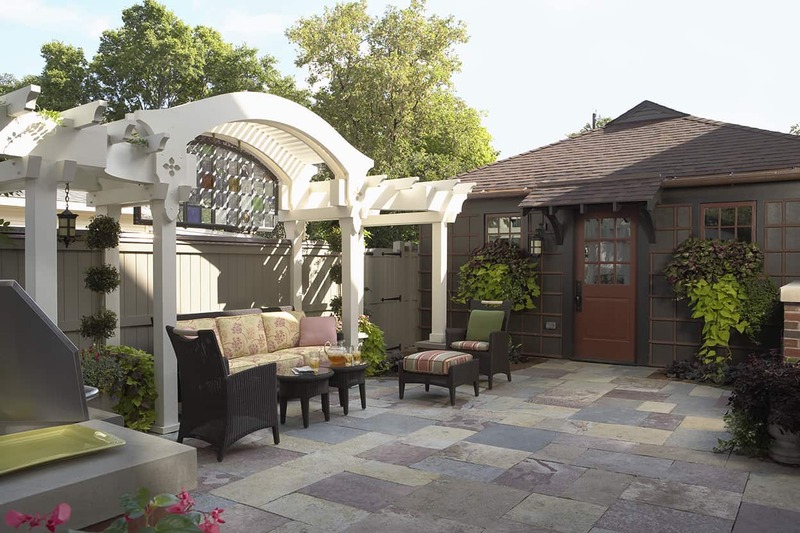 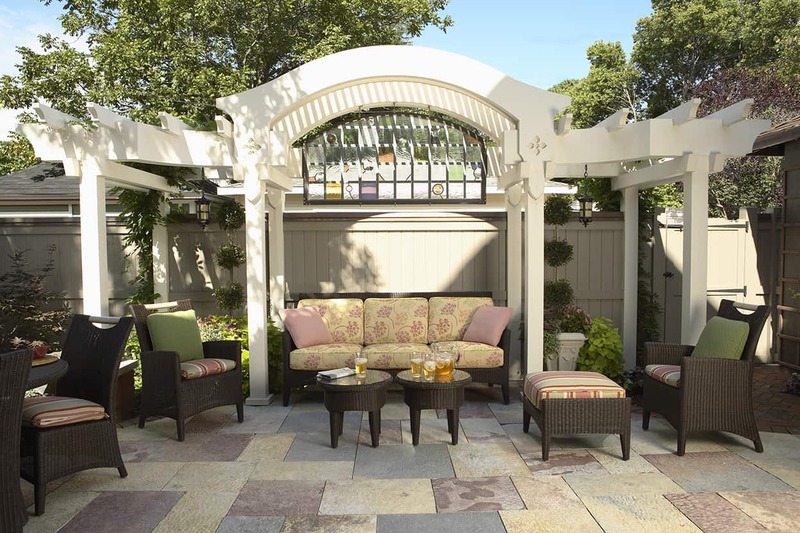 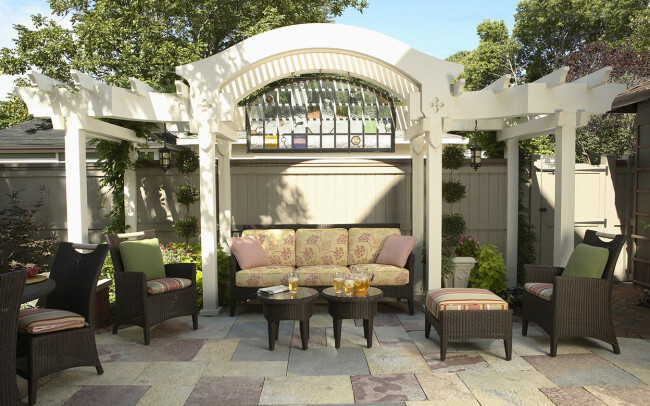 A pergola creates a central focal point in the small area and comfortably screens the sun’s rays. 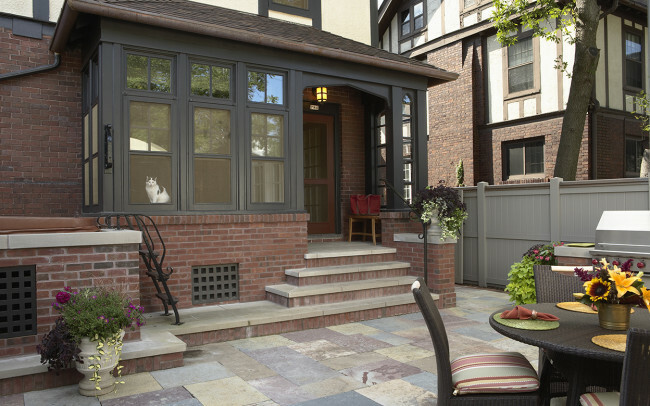 The suspended art glass over the fence adds a finishing detail to the space, while strategically obscuring views of the neighboring residence. 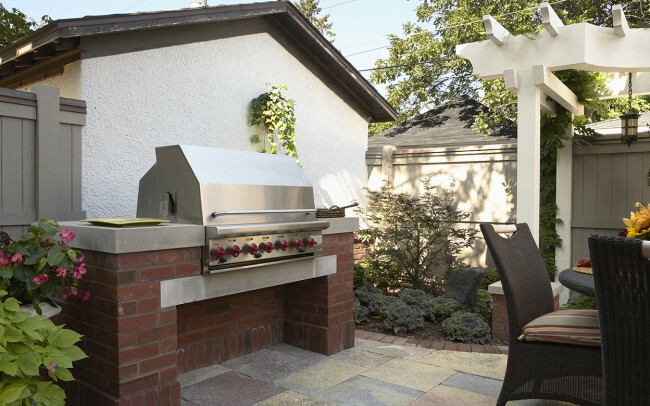 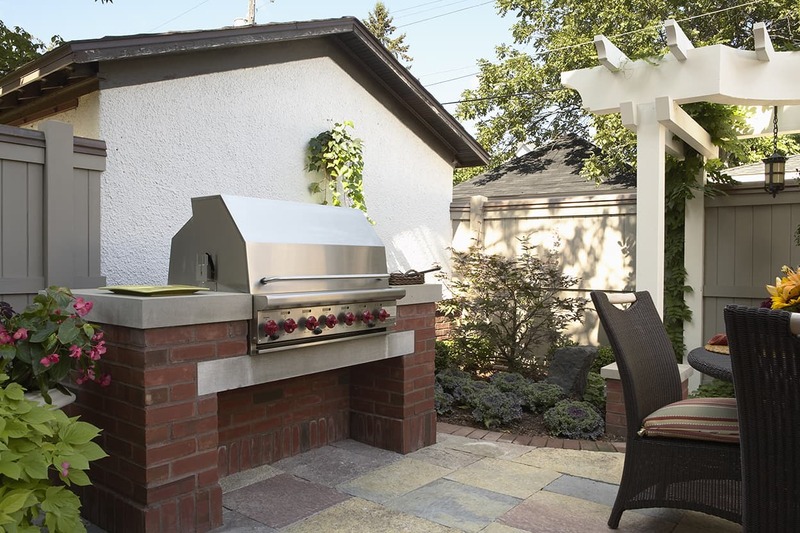 A unique built-in stand accommodates a grill large enough for gatherings with friends and family.